Motor Parkour is the kind of game that you will never get tired of playing. Of course, the title already lets you know that the game involves racing of some sort. Unlike any other car games, this one ensures that you have maximum fun. You will be required to successfully get through obstacles while performing parkour with your car. You will zoom from left to right, all in efforts to ensure that nothing stands in your way and that you successfully maneuver through the course. Make sure that you are focused and ready to take on whatever comes your way. Driving cars is no child’s play. Motor Parkour may sound simple but it has many challenging layers that make it unique. There are a variety of trails and moves such as the dynamic jump that will keep you interested. For such a new game, Motor Parkour is simply magnificent. Motor Parkour has excellent graphics and controls. In fact, as soon as you start moving, you will be interested in the experience in the most brilliant way. You will feel as though you are literally driving the car and cannot let go unless you successfully get through the obstacles. Even if you are new at racing games, Motor Parkour gives you a live introduction and teaches you all of the basics through a tutorial. As such, the driving scene will not be too overwhelming. The gameplay is jam-packed with great parkour tricks. The more you play, the easier they will seem. At first, everything seems challenging but as soon as you get the hang of it, the game will get easier. The boost feature that gives you a head start will quickly become your favorite element of the game. This is the best way to understand what the game is all about and what it requires of you as a player. Do not surpass the tutorial thinking that you will only rely on your skills. The parkour moves are hard and the obstacles are challenging, therefore, the tutorial will give you a chance to practice and get ready for the game. While customizing your car may not do anything for its overall performance, you may need to customize at times in order to earn resource points that will better your gameplay. Motor Parkour has a variety of challenges that should be completed. Ensure that you complete all of them in order to earn the necessary upgrades to your car. When you have an upgraded car then you will be able to shine on the trails and out-maneuver all other cars. Unfortunately, most of the players do not use the training area. However, you should never let it go to waste. This is the perfect place to practice your parkour tricks and ensure that you are prepared for the driving trails. Go to the search box in Bluestacks and type “Motor Parkour” without the quotes, of course. That is it! 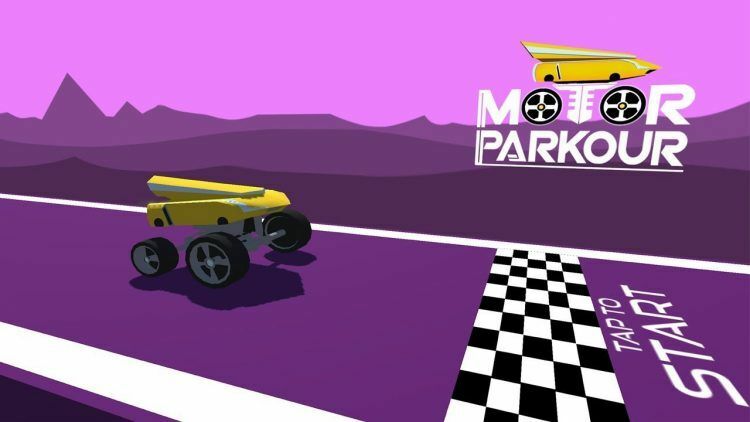 You can now enjoy your freshly installed copy of “Motor Parkour” on your favorite PC!